Yas Waterworld Abu Dhabi (Arabic: ياس وتروورلد أبوظبي‎) is an Emirati-themed waterpark located on Yas Island in Abu Dhabi, United Arab Emirates, the park is home to more than 40 rides, slides and attractions, including Bubble’s Barrel, Rush Rider, and Bandit Bomber which is the longest suspended roller coaster in the Middle East over 550 metres long. The park is set across more than 15 hectares of land. The park was developed by Aldar Properties and supported by Blackburn Share Holdings.Its theme is based on an original story about a brave girl named Dana, who went on a journey to retrieve a lost pearl (because of a strong storm) that used to bring prosperity to her village. During her travels, the young hero is supported and guided by animals, such as a dolphin, falcon and camel, while she is also followed by bandits and a snake who wants to retrieve the pearl for themselves. The story ends with her teardrops of innocence falling into an oasis which brings rise to the majestic pearl towering the village, bringing its residents' goodness once again. The theme is obvious in the parks' architecture with its pearl seen from outside the waterpark. All the characters, shops and restaurants are also based on the story. The waterpark has played host to the World Flowboarding Championships since 2013. 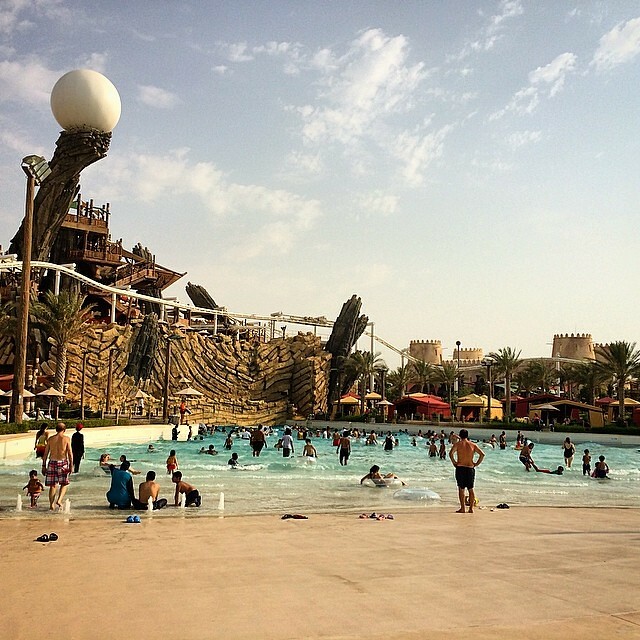 The park offers special training sessions to learn to ride the waves on body boards called Yas Flow League. 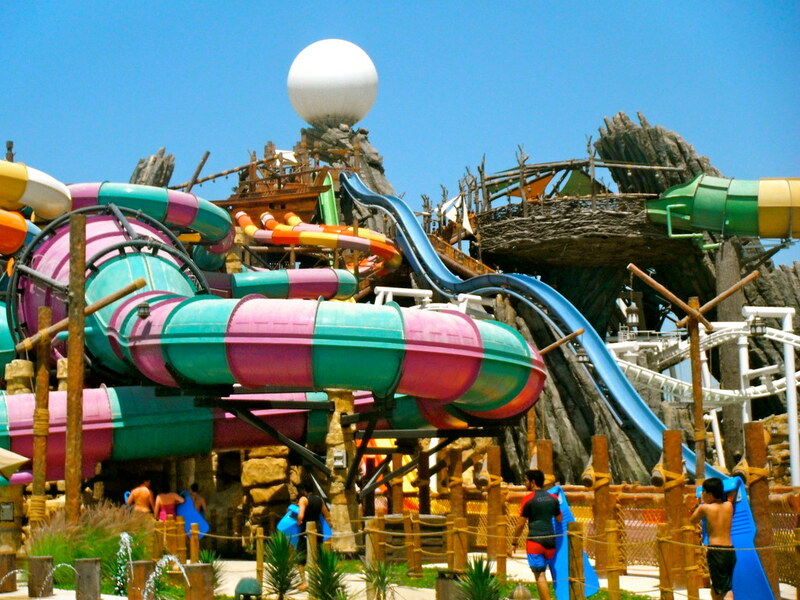 Yas Waterworld is managed and operated by Farah Experiences LLC, a wholly owned subsidiary of Abu Dhabi-based Miral Asset Management LLC.The waterpark has received a number of awards and accolades. The most recent award picked up was for the "Best New Menu Item" for the Yas Twister ice-cream given by the International Association of Amusement Parks and Attractions (IAAPA) in November 2017. Great park for an outing with the family. Lots of slides and fun things to do. A perfect choice for a day in the sun. Its an amazing experience, the place was clean, staff are nice and approachable.. I experienced twice, will definitely going back again with my family. This place gets 10 out of 5 stars. It’s just awesome. The water rides could never be so much fun. It targets not only adrenaline rush seekers but also kids. A well balanced fun park. Worth every penny spent in there. Visiting once wouldn’t quench your desire to get more of it. It probably makes us forget about any other water parks’ existence! Very clean waters and very alert guards on duty. Words don’t do justice to this experience, a must visit. It's a full day fun place. Kids zone is also there. One must carry swim wears and better to carry a towel to avoid additional fee. There are lot of slides and a pool. You to walk and climb stairs a lot so it's Advisable to carry swim socks.. pool floors and walk areas will hurt bare feet.